For those of you who didn’t know, phpMyBackupPro is a great and helpful web-based application for backing up MySQL databases. With this free and PHP based application you can create a backup of your database with just few clicks. You can also schedule your backups, manage, download, restore the backups and a lot of more. It supports three compression levels of backups (No compression, zip or gzip compression). It also supports two alternative security login methods, HTTP or HTML authentication. This article assumes you have at least basic knowledge of linux, know how to use the shell, and most importantly, you host your site on your own VPS. The installation is quite simple. I will show you through the step by step installation phpMyBackupPro on CentOS 6. Step 1. First, Install Apache and latest PHP version on your server. Step 2. 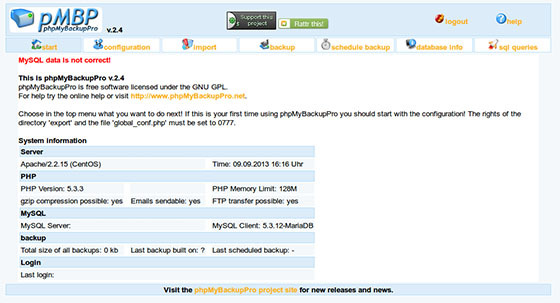 Download the latest stable release of phpMyBackupPro. Step 4. Finally restart Apache service. Now you will be able to access phpMyBackupPro from your browser with URL http://ip-address/phpmybackuppro or http://domain-name/phpmybackuppro. 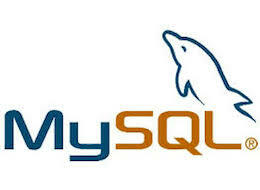 Enter your MySQL details, such as MySQL username and password, FTP username and password, etc. and save the changes. After you save the changes, log out from phpMyBackupPro and log in back again using your MySQL username and password. Congratulation’s! You have successfully installed phpMyBackupPro. Thanks for using this tutorial for installing phpMyBackupPro on CentOS 6 systems. Related Posts of "How To Install phpMyBackupPro on CentOS 6"